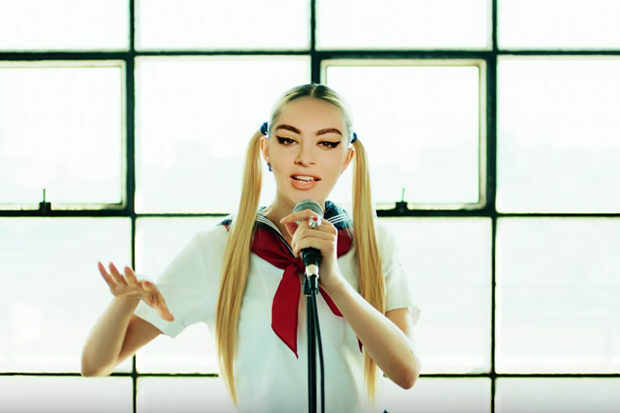 Watch Charli XCX & Kyary Pamyu Pamyu's Uncanny Video For "Crazy Crazy"
A few weeks ago, J-pop producer Yasutaka Nakata premiered “Crazy Crazy,” his collab with Charli XCX and kawaii artist Kyary Pamyu Pamyu. The song wasn’t quite as wild as some of Nakata or Kyary’s prior stuff (that could be because Charli penned the song, according to The Fader), but the video is right up there with KPP’s usual dose of craziness. The main conceit is the three musicians’ faces are superimposed onto other bodies. But not in the Armie Hammer in The Social Network seamless way, in an uncanny grotesque cartoon way. Actually, they kind of end up looking like the characters from the Goldeneye video game.